Installing a sunroom onto your Harford County home may be a project to consider. 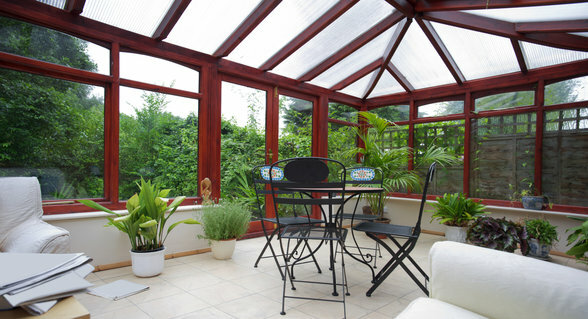 Sunrooms are year-round indoor rooms that add valuable space to your home. Installing a sunroom onto your Harford County home may be a project to consider. While the national average for a sunroom does not always guarantee a great return on investment, the statistics in the Baltimore metropolitan area are fairly high. The decision to obtain a relaxing sunroom could sway in your favor. We researched the ROI of installing a sunroom. In Remodeling Magazine’s Cost vs Value Report 2015, data shows that the return on investment (ROI) of installing a sunroom is 61.5%. This number is pretty good considering the usual return on investment of building a sunroom. Looking at the national average, 48.5%, you can see that Marylanders value additions to the home. Home value in this market is more likely to increase than other markets. It provides more space and also allows for year round sunlight with the comfort of an inside spot. What is in a sunroom that gives your home a value added benefit? Sunrooms are year-round indoor rooms that give the appearance of tranquility- of being one with nature. High ceilings, skylights, central AC, and energy efficient windows are now integrated into sunrooms. In the 1960’s, sunrooms were just porches encased in glass. If you want to cut costs on your project (about 20%), think about using the sunroom as a three season room and do not purchase energy saving windows or install heating and air conditioning. This, however, will minimize the comfort level of your room. Nowadays, sunrooms are the favorite relaxation spot in the house, so it may be worth it in the long run to plan on using it all year. A sunroom adds curb appeal to your home. When one drives or walks by a home and you can see the back extending past where you think the house will end, it always gives a “wow” feeling to the passerby. Not only does it look interesting from the front of the house, it looks eye-pleasing from the backyard. Generally residential neighborhoods are not secluded from other homes. Therefore, neighbors can see the back of your home and how great the new work is. Though the project takes about 12 weeks to plan, design, and complete, the end result will be well worth it. This entry was posted on Friday, October 23rd, 2015	at 4:47 pm	. Both comments and pings are currently closed.